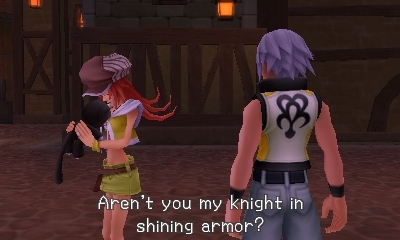 My relationship with the Kingdom Hearts series is complicated. I loved the first one and adored Kingdom Hearts II. The combination of Final Fantasy characters, Disney settings, and action-RPG gameplay resulted in a title that had never been more made for me. 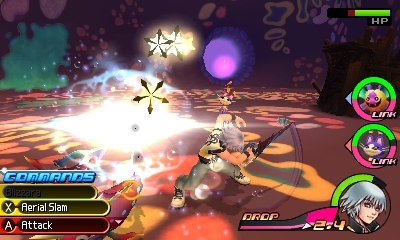 I was also a very big fan of Kingdom Hearts II, though I quickly gave up on the card-based Chain of Memories. Then, for some reason, there were approximately seven million spin-offs that made an already convoluted story even more confusing, and I let them all pass me by while waiting patiently for the mythical and long-rumored Kingdom Hearts III. 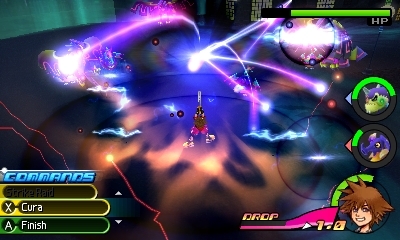 KHIII might still be years away (if it ever comes out), but the next game in the series, Kingdom Hearts 3D: Dream Drop Distance, is coming to the 3DS this summer. And though it's not exactly the game I want, it might just be the one that gets me back into the series. 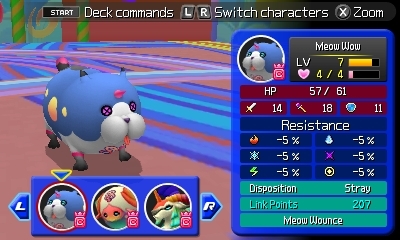 As the goofy title suggests, Dream Drop Distance takes place mostly in dream worlds, though I'm not quite sure why because I only played a small portion of the game. 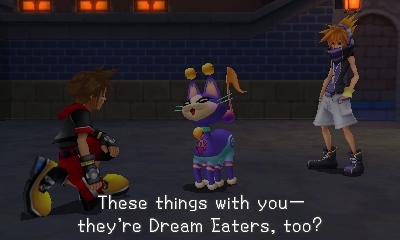 In the demo I played yesterday, Sora snoozed his way into the Country of the Musketeers. 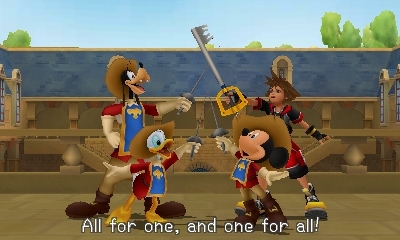 There he encounters the Three Musketeers themselves: Mickey, Donald, and Goofy. Though Mickey quickly realizes that Sora is a keyblade-wielder from another world, none of them remember him, which disappoints Sora. There's little time to dwell on it, though, because the world is quickly overrun by heartless. 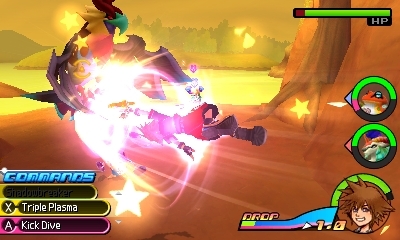 The button-mashing combat hasn't changed much from the PS2 days, but the game does use the 3DS touch screen to add some more depth to the fighting. 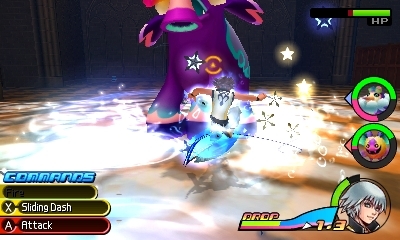 When prompted, using the stylus correctly can result in special moves, which breaks up the tedium of battle. 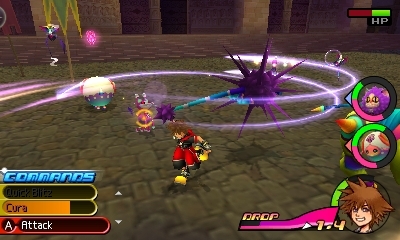 Sora also has control of Dream Eaters, which appear to be odd-looking creatures that can be recruited to assist in battle. That's new for the series, and reminiscent of recruiting demons in the early Persona games, so naturally I'm interested in seeing how it enhances the gameplay. 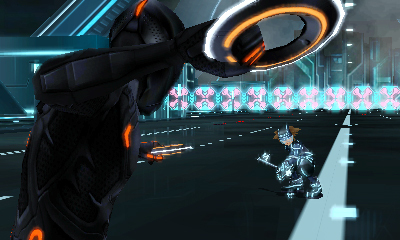 Though Riku is also a playable character in Dream Drop Distance, I only spent time with Sora. I wish I had gotten to see more of the worlds in the game-okay, so especially the Tron Legacy world-but what I saw looked great. The game looks better in 3D than 2D, creating an amazing perception of depth the 3DS does so well. I was still confused by what was going on, and I'm honestly not sure if it was because of the abrupt demo or because the plot itself is so bizarre. It's been a long time since I played a new Kingdom Hearts, but I might just give this one a chance. As a 3DS owner, I really need something new; as a Kingdom Hearts fan, I'm ready to jump back into Sora's world. Even if it is all a dream.